The Manchester Camerata's 2017/18 season kicks of with a bang on 1 September 2017 when the orchestra, music director Gábor Takács-Nagy, is joined by violinist Pinchas Zukerman for a performance of Beethoven's Violin Concerto at Manchester's Bridgewater Hall. The orchestra triumphed at the recent Royal Philharmonic Society Music Awards, picking up up the Ensemble Award for 'boldly reinventing itself' over the past few years and 'blazing a trail for what a 21st century orchestra can do'. In the Summer the orchestra will open the Pyramid stage at the Glastonbury Festival with Hacienda Classical. Gábor Takács-Nagy, who was a founder member of Takács Quartet, is now in his fifth season at the helm of the orchestra and he is in place till at least 2019. The orchestra's new season has a new collaborative strand with a series of UpClose concerts done in partnership with a variety of international artists ranging including Sven Helbig who spans the pop and classical worlds, the Manchester born guitarist of Pakistani extraction Aziz Ibrahim who is best known as guitarist with Simply Red, and Hugo Ticciati the British violinist who has been re-defining classical music performance with his festival O/MODƏRNT. The first of these, on 9 September the orchestra joined by Sven Helbig (see my interview with Sven) for Helbig's Pocket Symphonies (see my review of Helbig's recording of these) on 9 September with a new visual representation from artist Chris Paul Daniels. 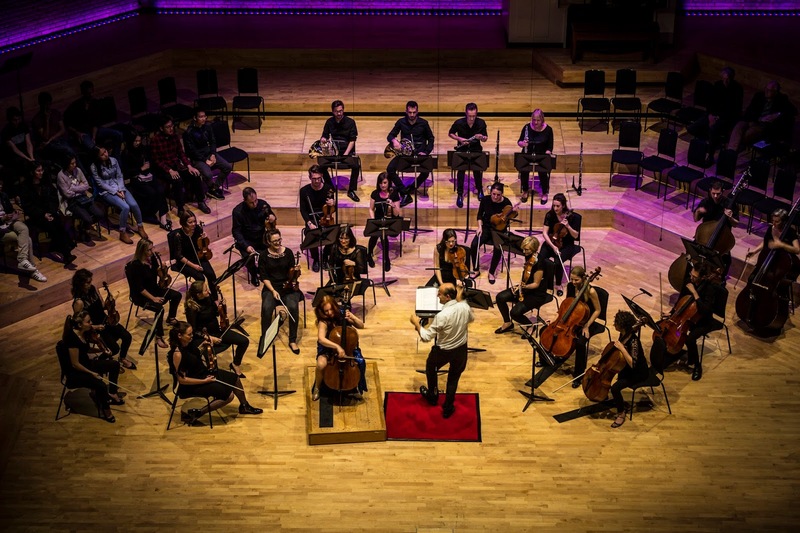 Further UpClose events include Aziz Ibrahim presenting an orchestral interpretation of his debut album From Lahore to Longsight, and Hugo Ticciati presenting Spiritualism and Minimalism with works by Peteris Vasks, Arvo Part and Haydn. Other events include Gábor Takács-Nagy conducting Mozart's Requiem with the Choir of Clare College, Cambridge and soloists Ailish Tynan, Anna Harvey, Nicholas Mulroy, and Peter Harvey. Hugo Ticciati also returns to lead the orchestra in his Vivaldi Rocks programme (you can read more about this in my preview of Ticciati's Vivaldi Rocks last year at Kings Place.). For International Women's Day the orchestra is joined by Jessica Cottis in a programme which includes the premiere of a new piece by Laura Bowler, the orchestra's former composer in residence. The orchestra's education and community work includes valuable work highlighting health and well-being, working with people living with dementia and other mental health issues. Full details from the Manchester Camerata website.